Cleverly engineered to solve your water challenge. Rabb Water System’s Whole House Problem Water Filters and Systems are designed to get right to the problem and make your water clean, clear and welcome in your home again. Our systems are carefully designed to eliminate common water issues: cloudy water, rust or blue-green staining and rotten egg smell as well as more complex problems: arsenic, volatile organics and neutrilizing, to name a few . Depending on the water quality in your home, one or more systems may be necessary to return your water to a pristine state. 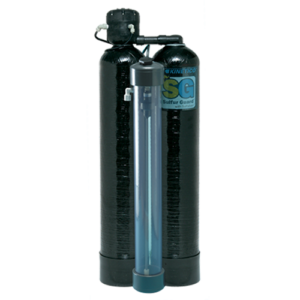 The non-electric Sulfur Guard filters provide a turnkey remedy for handling foul-smelling “rotten egg” water. 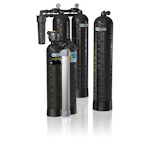 Unlike other systems that use multiple treatment stages and are expensive, cumbersome and complex to maintain, there’s not much to do with a Kinetico Sulfur Guard™ filter but enjoy your water. Whole House Iron and Odor removal without the use of chemicals. The oxidizer series is designed to eliminate common, challenging water issues: rust staining, odor, rotten egg smell. 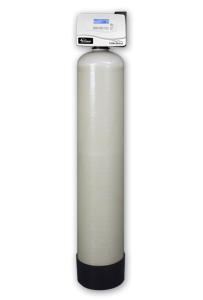 The Oxidizer series can solve your specific water challenges without putting a burden on your time or budget. The use of chloramine to disinfect water is increasing in popularity. An increasing number of water treatment plants have begun to use chloramine, instead of chlorine, to disinfect water. Like chlorine, chloramine has an unpleasant taste and odor and can also make water more corrosive. Chloramine is a combination of chlorine and ammonia. Chlorine is widely used by municipalities as a disinfectant for city water supplies. 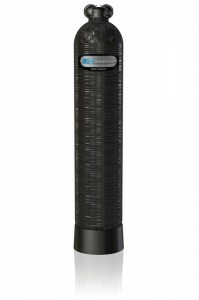 Kinetico Dechlorinators provide chlorine-free water to every faucet in your home, while protecting your water softener from the harsh effects of chlorine. The ultimate in home water safety. If you are concerned with viruses, bacteria and cysts, you need to disinfect your water. 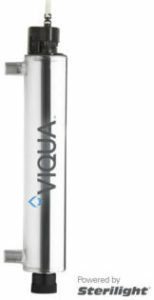 Water passes through the UV system and is exposed to intense ultraviolet light which inactivates the microorganisms and makes your water microbiologically safe to drink. Rabb/Kinetico Water Systems has been serving North Central Indiana homeowners and businesses for over 50 years. And for over 50 years, our Company has supplied customers with the very best equipment available. Every product we sell or rent is considered to be the finest product available in the industry. Warsaw, IN - Columbia City, Plymouth, Syracuse, Rochester, Wabash Grabill, IN - Fort Wayne, Auburn, Churubusco, Huntertown, Kendallville, Woodburn, Garrett Lafayette, IN - West Lafayette, Frankfort, Battleground, Brookston, Rossville Kokomo, IN - Marion, Gas City, Tipton, Elwood, Burlington, Flora, Jonesboro Huntington, IN - Bluffton, Decatur, New Haven, Warren, North Manchester Logansport, IN - Monticello, Peru, Delphi And all surrounding towns to those listed!